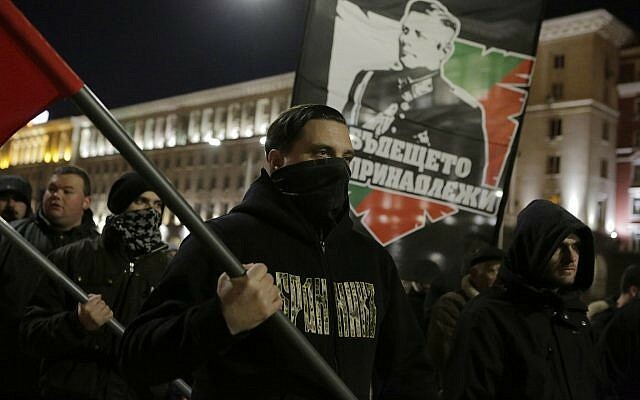 Hundreds of neo-Nazis held a rally in Bulgaria’s capital Saturday commemorating a Nazi-allied Bulgarian general, after efforts to ban the march failed. 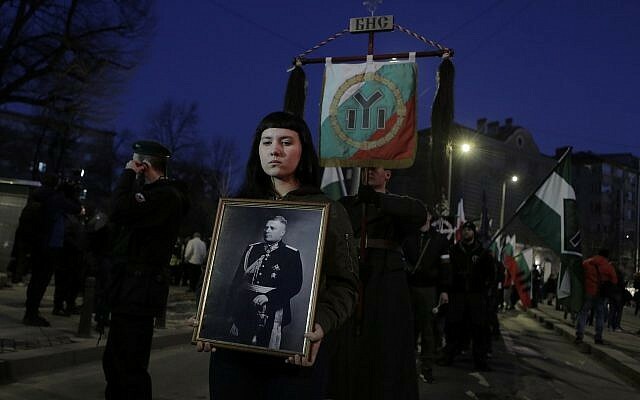 The Sofia demonstration, known as the Lukov March, honors former Bulgarian war minister and leader of the pro-Nazi Union of the Bulgarian National Legions Hristo Lukov. 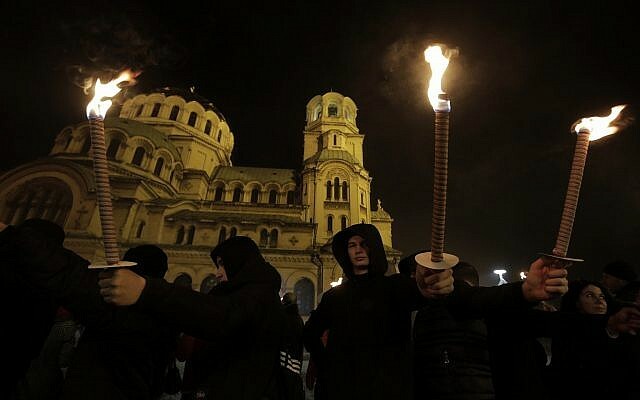 Clad in black and under a heavy police presence, the far-right activists marched with torches to the home where Lukov lived where they laid wreathes, the Sofia Globe reported. Lukov, who cultivated ties with the Nazis in the 1930s and 1940s, was killed in Sofia in February 1943 by communist partisans. 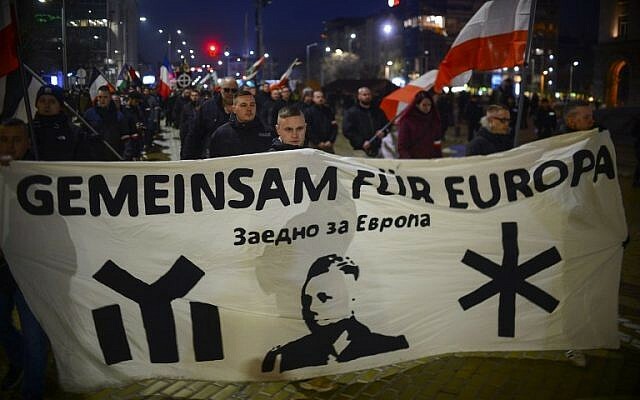 In addition to Bulgarian extremists, members of far-right groups from Germany, Sweden, Estonia and Hungary also participated in the march, Reuters reported. “We object to being called anti-Semites, neo-Nazis, or fascists. 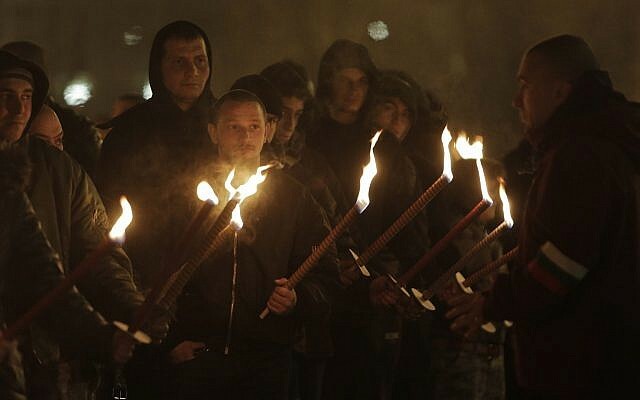 We are simply nationalists,” rally leader Zvezdomir Andronov told AFP. 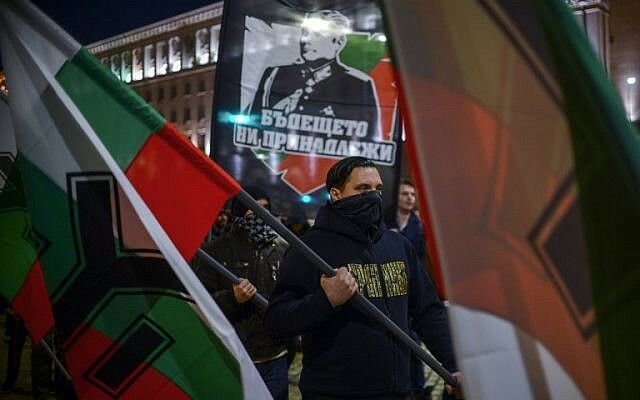 The event has taken place annually since 2003 but the Sofia municipality issued a ban of this year’s march, before a local court ruled it was allowed to go forward, according to Reuters. According to the WJC, Lukov was a proponent of introducing anti-Semitic laws in Bulgaria and his organization backed the deportation of 11,343 Jews from territories controlled by Bulgaria in Macedonia, northern Greece, and eastern Serbia to Treblinka, where they were killed. 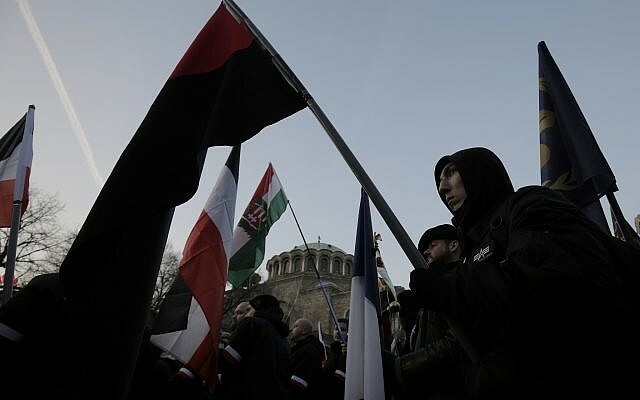 “We cannot stand by in silence as neo-Nazis and anti-Semites from across Europe march through the streets of Sofia or any other city, in the same dangerous manifestation of the very anti-Semitic ideology that brought about the near destruction of European Jewry,” said WJC CEO Robert Singer in a statement. “As marginal as the Lukov March may be, what happened today is a disgrace. On March 10, we will mark the 75th anniversary of the courage Bulgarian people showed in saving 48,000 of their Jewish neighbors from the extermination of the Nazis. This, and not the assassination of a Nazi collaborator, is a date worthy of honor and commemoration,” the statement continued. The US embassy in Sofia also issued a statement condemning the march. 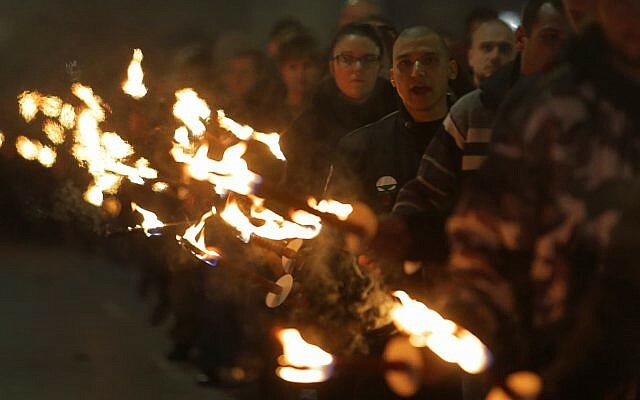 “The US Embassy to Bulgaria is saddened and troubled to see the display of intolerance represented by the Lukov March. General Hristo Lukov was a Nazi supporter who promoted hate and injustice, and is not someone deserving of veneration,” the embassy said. “We reiterate our appreciation for the dedicated efforts of the Government of Bulgaria and Sofia Mayor Fandakova to denounce the march and to call on all Bulgarians to unite around the positive examples from their shared history,” it added. Israel has also called for the rally to be banned. 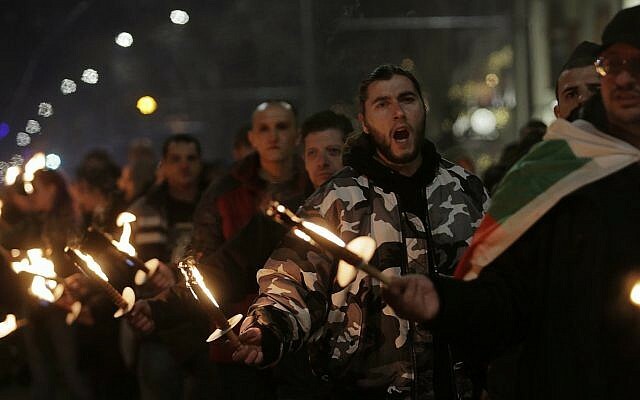 A counter-protest attended by a few hundred demonstrators was held in Sofia ahead of the march. “We are here to show that there are people who are against any discrimination, violence, totalitarian regimes and for the freedom of the people, and the desire of people to live in a just and free world,” protest organizer Galina Lacheva was quoted by the Sofia Globe as saying.